Two games in four days for the Clarets and participation in the Europa League grows ever closer for Burnley. Southampton’s exit from the FA Cup at the hands of Chelsea yesterday, puts the matter of qualification now firmly in the Clarets’ own hands. Burnley took a point away from the Britannia Stadium yesterday and probably doomed Paul Lambert and his team to a return to Championship football. At the other end of the footballing spectrum, if European football returns to Turf Moor next season, then Sean Dyche and his players will have learned lessons from the two matches they were obliged to play within a ridiculously short time span. First, there was the visit of Chelsea to Turf Moor on Thursday night; a team, a manager and a club well versed in the wiles of European football. They offered Burnley a glimpse of what they might well encounter when continental sophisticates come calling. The Blues nurtured possession and thereby managed the game sufficiently well to see off a determined challenge from the Clarets but in truth, they never looked like succumbing to. Ease on the ball, decision-making that was fast and accurate and the ability to slip comfortably into a higher gear after Ashley Barnes’ goal had briefly called Chelsea’s win into question, were all clear indicators of how high-quality teams will look to negotiate their visits to Turf Moor. Then there is the issue of being required to play on Thursday and Sunday, an obligation incumbent upon Europa League participants. At Stoke yesterday, Burnley gave an oddly disjointed and jittery first half display during which they fell behind to a neat but deflected finish from the Potters’ Badou Ndiaye. This was a match Stoke simply had to win if they were to hold out any hope of avoiding relegation and their supporters were perhaps looking to Burnley, seemingly secure in their seventh-place tenure to provide the Potters with a Premier League lifeline. But Burnley rallied impressively in the second half, and after Barnes’ scrambled equaliser, the momentum and confidence visibly drained from the bodies of the Stoke players, which is often the way with struggling teams, and it was the Clarets who thereafter looked the likelier winners. That they did not do so was down in no small part to an impressive display of goalkeeping from Jack Butland, a rival of Burnley’s Nick Pope for a place in England’s World Cup squad. Watching Butland play, you can’t help but feel the keeper will still be playing in the Premier League next season, but perhaps not in the service of his current employers. 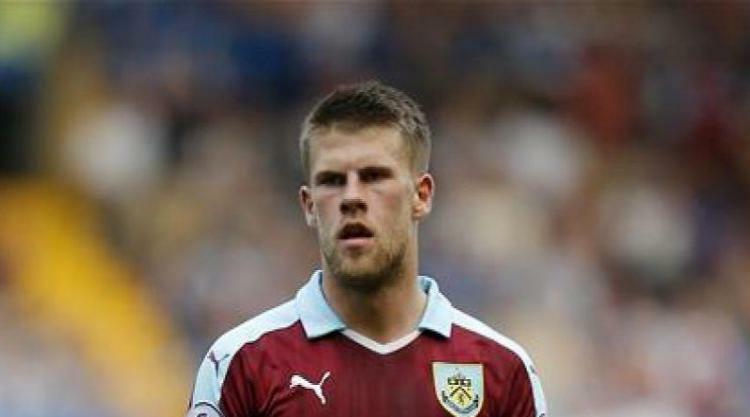 The England hopeful pulled off a host of wonderful saves to deny Burnley's Johann Berg Gudmundsson in particular. With just three Premier League matches remaining, an outstanding season for Sean Dyche’s Clarets is closing. The South coast duo of Brighton and Bournemouth, both safe from relegation fears, visit Turf Moor either side of an intrusion on Arsene Wenger’s Emirates farewell. Burnley have fully sold out their away allocation and it seems the Clarets fans are intent on spoiling the Frenchman’s leaving party! Finally, a word of heartfelt congratulations to the Clarets closest neighbours, Accrington Stanley who have secured promotion to League Two. A truly superb achievement by John Coleman and his players, very well-done Accrington Stanley.